Nassau, The Bahamas - The exclusion of Bahamians from casino gambling will be considered by the Constitution Reform Com mission, its chairman Sean McWeeney, QC, confirmed. And, Leader of the Opposition, Dr Hubert Minnis is insisting that Bahamian voters “must be armed with sufficient empirical expert analysis and information to make an informed choice” on the legalisation of gambling. 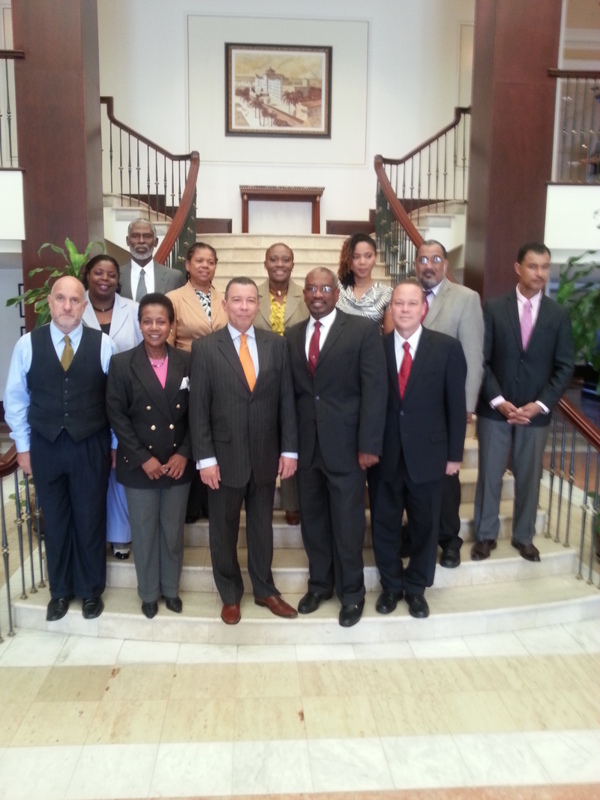 The Commission continued its sessions Friday with Dr Minnis, leader of the Free National Movement, making a contribution. Members of the Commission are Rubie Nottage, Mark Wilson, Carl Bethel, Lester Mortimer, Tara Cooper-Burnside, Michael Stevenson, Professor Dr. Lydia Saunders, Michael Albury, Chandra Sands, Brandis Duncanson, Carla Brown-Roker, Lauren Klein. Former permanent secretary Thelma Beneby is the secretary to the Commission. She will be assisted by Annie Lloyd, Darron Henfield, Sonobia Smith, and Veronica Frazer. The issue as to whether the constitutional provisions dealing with the exclusion of Bahamians from casino gambling should be repealed “is a matter which will be considered by the Commission,” said Mr. McWeeney. The Prime Minister recently indicated that casino gambling was not going to be included in the gambling referendum because it was a matter that he would prefer to be dealt with by the Commission as one of the exceptions to the provisions against discrimination, he said. Various members of the commission have indicated that they would also want the Commission to deal with this matter, said the chairman. Addressing the Commission, Dr Minnis noted that the elimination of the ‘discrimination’ clause which derogates from Article 26 of the Constitution in matters relating to gambling, is a matter of much public controversy. It has been occasioned by the Government’s intention to hold a non-constitutional referendum on local ‘web shops’ and a national lottery, “but not to seek to amend the derogation clause or to seek the public’s views on land-based casino gambling,” he said. “The position of the Free National Movement on this issue as well as the specific Government initiative is that Bahamian voters must be armed with sufficient empirical expert analysis and information to make an informed choice,” he said. Mr. McWeeney confirmed that the Commission remains on track to report by the end of March 2013. That will allow sufficient time for Cabinet and Parliament to deal with legislation for constitutional reform and a referendum to take place in June, prior to the 40th anniversary of Independence.